If you had to describe Iceland in one word what would you say? Magical. Mesmerizing. Magnificant. Amazing. All of the above. It’s impossible to put Iceland into one word I just realized. You guys know how wonderful Iceland is. I don’t need to tell you. There are lots of reasons that you should be visiting Iceland. Even with all of the information that’s out there on the interwebs, I still get a lot of questions, the same questions over and over again, from travelers planning their trip. I just wanted to make an old FAQ video, just clear things up for you guys, because I’m here to help. Help, I need somebody. Help, not just anybody. It’s normal in this house that I bust out in song and dance. Hey Team Iceland. My name is Jeannie and I am your tour guide for all things Iceland planning. 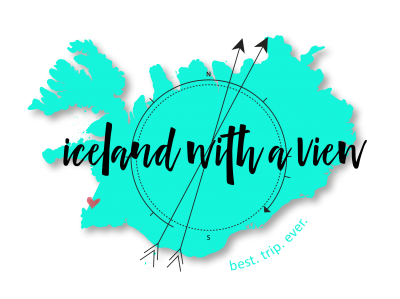 Today I’m going through the top five most frequently asked questions from my readers planning their trip to Iceland, because if you’re not prepared, and you don’t have your questions answered, then you’re nervous going into the trip and I don’t want anyone to be nervous. I want everyone to be confident and excited. Let’s get into it. “Hey Jeannie. I’m coming to Iceland in January. I can’t decide if I want snow boots, or hiking boots, or both boots. What do you recommend?” Great question. The thing is, you have to be prepared with the right gear in your suitcase when you’re traveling to Iceland. The good news is, is I’ve already made an entire video for you about winter packing for Iceland, and you can check that out right now. There’s cold, there’s rain, there’s snow, there’s wind, and sometimes there’s all of the above. It is so important to be prepared with the right attire, including outerwear, and footwear, and innerwear, all of that stuff. It is really important that you’re packing the right things for the right season. I also have a packing list for every season (winter/summer) so that you do not have to worry about one single thing, and there are no questions about what to pack for your trip. Where can I buy a lopapeysa? “Hey Jeannie. I’m coming to Iceland and I want one of those authentic wool sweaters to take home for a souvenir. Where do you recommend I go to buy one?” If you guys didn’t know, the authentic Icelandic wool sweater is called a lopapeysa, and it is as amazing as it sounds. It’s one of my favorite items that I’ve ever purchased in my life, so I highly recommend getting one for yourself. This is a really important question, because not all lopapeysa sweaters are created equal. You will see these sweaters sold at a lot of tourist shops, and I can’t promise you that they’re all authentic. Maybe the tag will say that it’s made with Icelandic wool. Who knows where it was made. In order to get a real authentic Icelandic wool sweater, I usually send people to one of two places. The first place that I recommend is The Handknitting Association of Iceland. They have a location right in downtown Reykjavik, and they have a huge selection of lopapeysas. Another place that’s a good option is the Kolaportid Flea Market in Downtown Reykjavik. This store is right across from Harpa. But, they are only open on the weekends. How can I see the Northern Lights? “Hi Jeannie. I’m coming to Iceland in September. Do you think I’ll be able to see the Northern Lights?” Oh my Lord. Well first of all, this is easily the most frequent asked question. Second of all, I mean, I don’t know man. It really depends on so many factors! Predicting the Northern Lights forecast in Iceland is literally like gambling, you just never know. What I recommend is to watch the Northern Lights video that I’ve already posted, so that you can check the forecast websites that I recommend, and where to see them, and all of those things, because the Northern Lights are really, really hard to plan for. I’m going to give a general rule of thumb. If your trip is between September until March, you have a good chance of seeing the Northern Lights. If you’re coming in mid-September through mid-October or March, then you have the best chance of seeing the Northern Lights. Otherwise, it’s a roll of the dice. What car rental company do you recommend? “I want to rent a car and drive to places on my own. Which company do you recommend? Do I need a four-wheel drive or a two-wheel drive?” Yeah, this question also gets asked a lot. Now, it’s no secret that I recommend Blue Car Rental, because they’re a local Icelandic company and also, they give my readers a discount on their purchase, which is awesome! But really, there are so many rental car companies to choose from in Iceland. It really just depends on what kind of vehicle you want, if you want your insurances included or separate, if you want to pick your car right up from the airport, or if you’re willing to get on a shuttle to get to a different location. There’s a lot of things to consider. As far as needing a two-wheel drive or a four-wheel drive, I’ve also made an entire video for you to answer that question, so you are going to want to watch that right now. But, my main rule of thumb is that if you are coming during the summer, you should be okay with a two-wheel drive. If you are coming during the winter, then you need a four-wheel drive. Just watch the video. How do I get wi-fi in Iceland? Last question, “What’s the WiFi situation like in Iceland? Do you recommend getting a SIM card or renting a modem through our car rental company? Or what?” Yes, in this technology era, we need to be connected to WiFi on our trips, duh. There’s a lot of different ways that you can be connected through WiFi during your trip to Iceland. You can rent a SIM card, which I think is the best way to go, because you just stick it in your phone and you go. It’s usually the cheapest option. You can rent a SIM card, you can use your home provider, or you can just rough it and only use the WiFi when you’re at your hotel or at cafés. But there are a lot of really great options. Actually, the cell towers in Iceland are plentiful, and I’ve really never had a connection issue during all of my travels. Research which option works best for you and to help you with that. I have also made an entire video about your different WiFi options during your trip to Iceland. You’re going to want to check that out as well. Those are your five most frequently asked questions for planning your trip to Iceland. I hope you guys learned something, because there is a lot to consider when you’re planning your trip to Iceland. Trust me, I know. Now, if you are planning a trip to Iceland, then you need to be in my Facebook group. 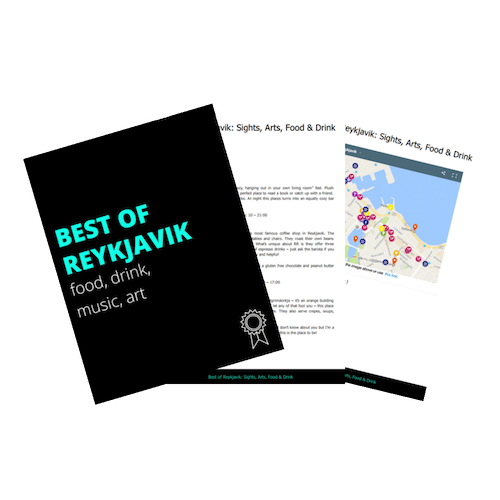 It is free, and it is jam-packed with thousands of travelers who are planning their trip to Iceland. This is a great place for you to ask questions, get answers, and feedback, and everything like that. I do a Facebook Live in the group every week, giving you even more helpful Iceland planning tips. That’s it for today my friends. I hope you love this video and found it helpful. I would just appreciate it if you could give it a thumbs up. Don’t forget to subscribe for more helpful Iceland videos coming your way soon, and I will see you next week.